We believe a cake should taste just as wonderful as it looks. 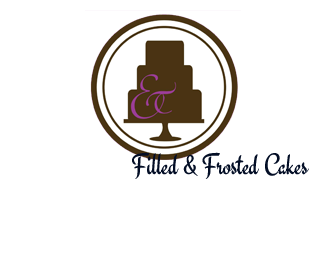 Filled & Frosted is a boutique cake shop dedicated to the art of cake. With backgrounds in graphic design, fine arts and French pastry we make sure that every cake that leaves our kitchen is as beautiful as it is delicious. 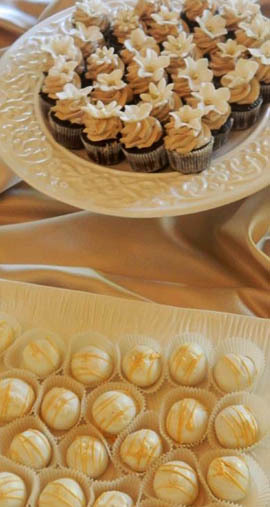 With high standards in design and taste, our cakes are sure to please every aesthetic vision and culinary palette. Details are important to us. Sugar flowers are a great way to give your cake an awe factor like none other. Having control over color, shape and size ensures that your vision comes to life in our shop. It is a special sugar piece created just for you. We make sure that every cake is unique and fits the occasion - weddings, anniversaries, birthdays... We also work with gift retailers and if you want we can combine our cake with a present for your girlfriend or boyfriend. For this lovers'day we have special Valentine's gift ideas and offers from The Eternity Rose. Enjoy! Part of making sure your cake tastes amazing is our house-made fondant. It is marshmallow based which makes it taste lighter and less sugary and ensures it never gets rock hard and inedible. Many thanks for our spectacular wedding cake. It was truly a work of art! After our tasting we had complete confidence in you knowing that you would create the perfect cake that tasted as wonderful as it looked. You are truly talented and we could not have been happier. Thank you for being a part of our day. To schedule a tasting please e-mail us and we will work around your schedule to set up an in home tasting if you are in the immediate Miami area. What happens next? We will e-mail you three sketches and you can approve one of those that you love or we will work from those until you are completely satisfied with the end result. The more artistic freedom you give us, the better your cake will turn out! 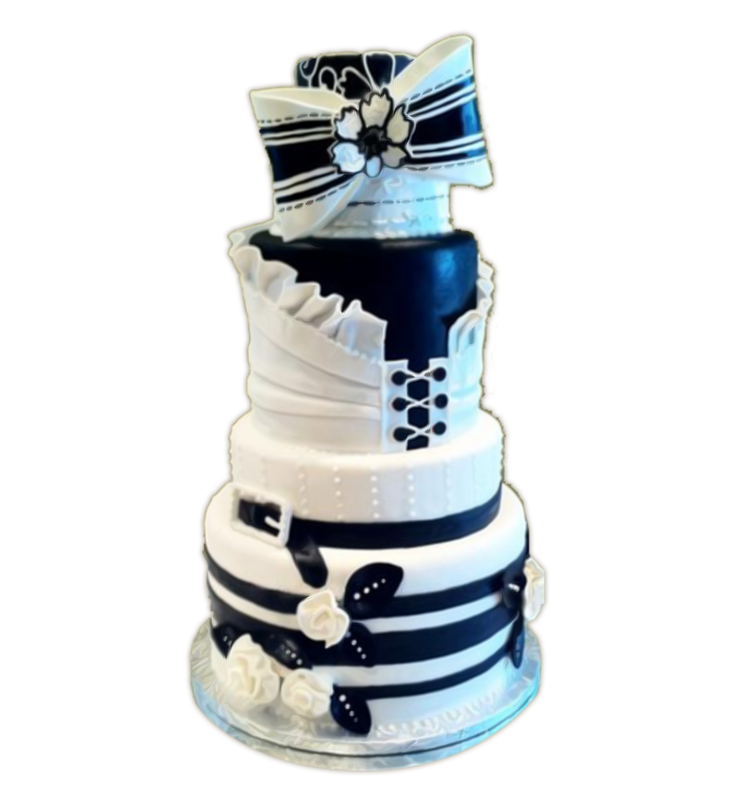 If you get stuck on an idea you have seen before you miss out on the chance to get a personally designed cake that is just for you and fits your particular event perfectly. A deposit is required to hold the date of the event. 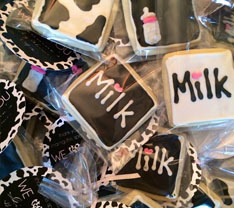 The owner of Filled & Frosted has always loved all things sugar and design. After attending Pratt Institute of Art and Design in New York, Brittany decided that design itself was not fulfilling enough. She went to the French Culinary Institute to learn the finer points of sugar art. 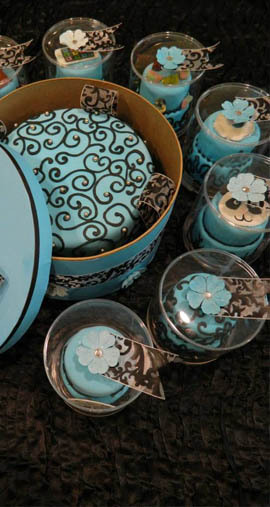 Now combining both a love of food and art, Filled & Frosted can give you a cake like no other. Brittany started the business in Miami recognizing a need for traditional french american flavors in the area. 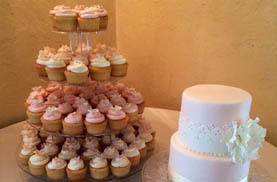 Filled and Frosted Cakes has moved to Central Florida and become Le Petit Sweet. We thank everyone for the amazing cakes we've been able to make over the past 5 years.